Multi-Functional: Stack ‘Em, Squeeze ‘Em, You Can Even Chew ‘Em! And They Float Too! Perfect To Play With Anywhere. Fun & Colourful: 10 Hand-Sculptured, Embossed Blocks With Unique Designs (Animal Shapes & Numbers) On Each Side. Educational: Encourages Curiosity And Exploration Through Increased Visual Stimulation For Young, Curious Minds. The B. 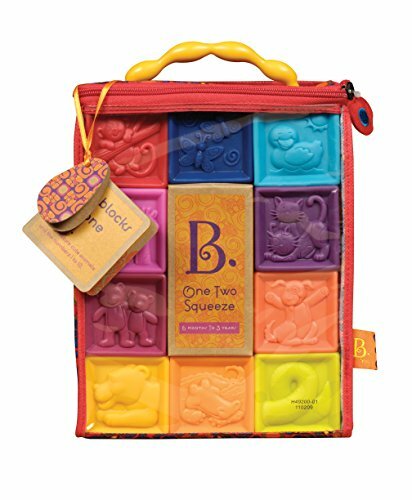 One Two Squeeze blocks are designed especially for little hands and curious minds. Every hand-sculpted block is an educational and tactile experience, featuring reliefs of friendly animals and the numbers 1-10 on Every side. The set includes 10 blocks, with 60 images to please and educate a curious mind. Soft and durable, these blocks are stackable, squeezable, floatable and chewable, making them suitable for any activity. Is available in a 100% recycled polypropylene clear plastic carrying bag for simple storage. Ages 6 months and up. Multi-Functional: Stack ‘Em, Squeeze ‘Em, You Can Even Chew ‘Em! And They Drift Too! Best To Play With Anywhere. 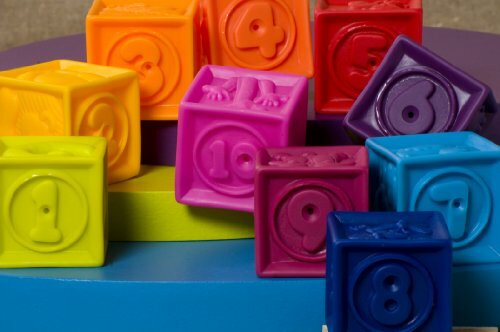 Fun & Colourful: 10 Hand-Sculptured, Embossed Blocks With Unique Designs (Animal Shapes & Numbers) On Every Side. Sounds: The B. 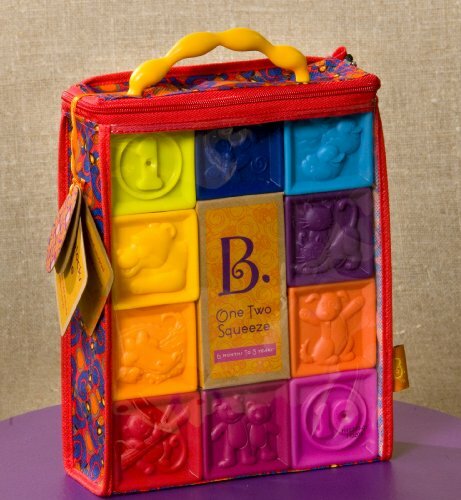 One Two Squeeze Blocks Also Produce A Silly, Squeaking Sound When Squeezed For Even More Fun! Storage: Comes With A 100% Recycled Plastic Bag That Makes For Easy Storage To Assist Minimize Clutter.